This photo shows the Carson School, an elementary school in Cincinnati. A federal lawsuit says a “treacherous school environment” that allowed and covered up bullying led to the suicide of an 8-year-old boy. The wrongful death suit filed Monday by the parents of Gabriel Taye names officials at his elementary school and at the Cincinnati Public Schools district as defendants. CINCINNATI — The parents of an 8-year-old boy who hanged himself blame a “treacherous school environment,” alleging in a federal lawsuit filed Monday that school officials allowed and covered up bullying. The wrongful death suit filed by the parents of Gabriel Taye names officials at his elementary school and at the Cincinnati Public Schools district as defendants. It seeks damages to be determined in a trial. Attorneys have said his mother didn’t know her son was bullied until the lawyers saw a Cincinnati police detective’s email describing the scene outside a boys’ bathroom where attorneys say Gabriel was knocked unconscious. He hanged himself at home two days later on Jan. 26. Attorney Jennifer Branch said Cornelia Reynolds’ words were “if I had only known” after Branch described the bathroom assault to the devastated mother. She said the parents also learned after his death that he, and other children, had been bullied before at Carson Elementary School. “If CPS had been honest with her about what happened in the bathroom, how long he had been unconscious, and the dangerous school environment Gabe had to navigate each day of third grade, she would never had let him return to Carson,” Branch said in a statement. 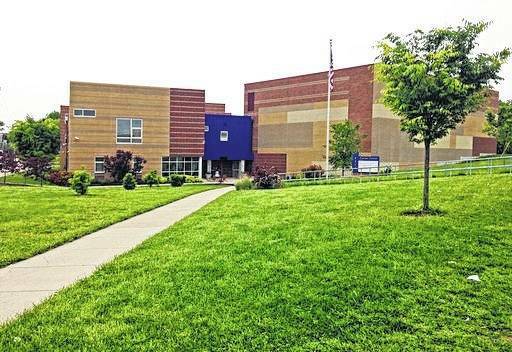 The district earlier this year released copies of a choppy 24-minute video that shows one boy bullying other students. The mother’s attorneys say he pushed Gabriel into a wall, knocking him unconscious for at least seven minutes. Their lawsuit says Gabriel wasn’t known as a “cool kid” to his peers, but he was “a good kid who wanted to be friends with people: he was smart, wanted to learned, earned good grades, avoided fights and arguments, and loved to dress up for school, including wearing neck ties.” The lawsuit states that his grades had been going down in third grade, but that his parents knew of no reason to believe he was suicidal. The suit states he used a neck tie to hang himself from his bunk bed.